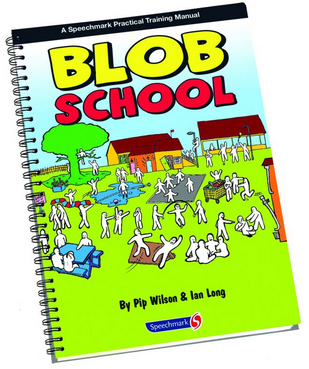 Pip Wilson bhp: NEW 'Blob School' uses the well-known BlobTree characters in a number of school situations. NEW 'Blob School' uses the well-known BlobTree characters in a number of school situations. The book is aimed at both teachers and students, depending on how you want to use the activity. In both instances the aim is to use the blobs to create discussion and air problems. The book covers all key areas of school life so that teachers, assistants, school workers, students and parents can reflect upon a range of issues which occur throughout the school year. The book includes a free CD Rom which can used to project the images on to an interactive white board or printed off for whole class/staff or small group discussion.